A DC connection can allow power from remote markets or distant renewable energy generation capacity to be efficiently transported and effectively traded across national and regional borders without impacting on the stability of the grid. Not only are potential asynchronous frequency issues avoided, but a host of other benefits emerge too. The inexorable rise of renewable energy has transformed the power industry and rewritten the book on national electricity generation portfolios. 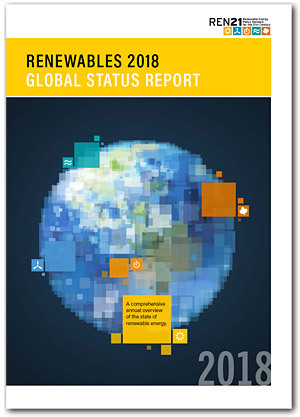 According to the latest edition of the “Renewables Global Status Report” from the REN21 network, in 2017 at least 10 countries generated 15% or more of their electricity with variable output renewables like solar PV and wind power. Many are far higher. For example, preliminary energy statistics for 2017 from the Danish Energy Agency show that wind power alone supplied 14,700 GWh over the year or more than 43% of Denmark’s total electricity consumption. Indeed, one day last February Denmark supplied 100% of its electricity requirements from wind when its huge installed capacity of more than 5 GW was at peak output. There is no doubt that a revolution is underway in the power sector – 2017 saw the largest ever increase in renewable generation capacity to date and global net additions of solar PV alone came in at more than coal, natural gas and nuclear power combined. However, while there are certainly environmental benefits associated with this transition, it presents challenges too. In high renewables penetration markets there is limited economic scope for thermal power given the restricted running hours. This limits the turndown and ramp up capacity available and alternatives, such as storage, are currently limited. As a result, there can be power shortages when renewable capacity slumps during foggy, cold, still, winter days, for example. Conversely on sunny and windy days – when renewables output is peaking and countries are producing more power than their total demand – renewables output must be curtailed or prices can fall to negative values. In response to these dynamic market forces, current electricity grid development trends are seeing demand for long distance inter-regional and cross-border interconnections so that the renewable energy available in one location may be used elsewhere. Originally, HVDC was thyristor-based technology and required a relatively robust AC system in order to operate stably. With the emergence of Flexible AC Transmission Systems (FACTS), operators can improve compensation capabilities and network stability within the AC network using thyristor-based HVDC. 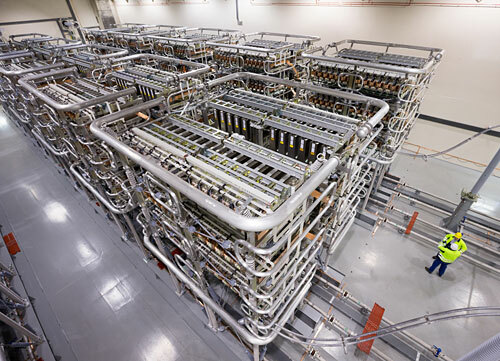 However, the growing need for more flexible HVDC and grid stability services has coincided with exciting developments in high performance solid-state power electronics and powerful control systems. 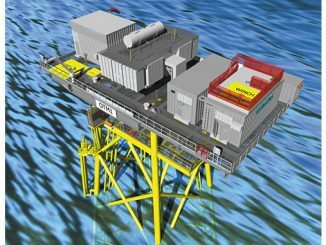 Siemens’ latest generation of HVDC power transmission technology uses voltage-source converters (VSCs) in a modular multilevel converter (MMC) design. Branded as HVDC PLUS, the first ever such system – the Trans Bay Cable Link in San Francisco, California – was installed in 2010. In today’s state-of-the-art MMC converters more than 1,000 individual capacitor voltages are switched in a coordinated manner within a time frame of less than 1/10th of a millisecond to convert AC into DC and vice versa. In providing voltage control and support, active and reactive power control, power oscillation damping, and increased power transfer capacity, HVDC PLUS increases overall system stability and power quality, helping to maximise the capabilities of existing AC bulk power assets. There is typically no need for supplementary harmonic filtering as a result of MMC harmonic performance, for example. As important side effects, this makes system integration of HVDC easier and results in significant space savings compared to thyristor-based HVDC. Furthermore, by using relatively few robust and proven components, such as typical AC power transformers, reactors, capacitors and industrial IGBTs, as well as redundancy in the MMC and its control systems, Siemens HVDC PLUS is also resilient and reliable. Given the distance requirements for modern transmission networks it is clear that HVDC is the most economical solution. But because of the functionality of the converter an embedded HVDC PLUS system offers far more besides. Germany has the ambitious objective of generating at least 80% of its power supply from renewables by 2050. To support this endeavour, plans are under development to upgrade the country’s power grid with several high capacity North-South HVDC power lines, such as SuedLink. However, a more robust grid able to transfer bulk power long distances also offers the opportunity for cross-border energy trading too. Indeed, a major business driver for the development of cross-border HVDC links is the potential for electricity trade, under-pinned by the renewable resources available in different countries and price differentials. For example, given that production is physically bound to certain natural and geographical resources there are far more favourable conditions to generate energy from large scale hydropower projects in countries such as Norway. The efficiency of long-distance bulk power transport and the cost of the equipment is now at a level that’s economically viable, while the trading margins across borders are such that there is the potential for profitable cross-border trade. Cheap Norwegian hydropower could be sold at peak hours into western European markets and major demand centres such as Frankfurt Am Main. This move to a more widely interconnected European transmission system is already underway with a host of new European HVDC interconnectors set to be commissioned over the coming years. 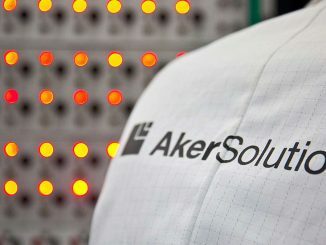 Siemens, for instance, is currently executing a 1 GW HVDC project linking Germany and Belgium on behalf of Amprion and Elia (ALEGrO), a 1 GW line linking France and the UK (ElecLink), and a 700 MW Denmark-Netherlands link for Energinet.dk and its Dutch counterpart TenneT TSO (COBRAcable). Access to Scandinavian hydropower also opens up the possibility of extending the use of renewables across Europe. By maximising pumped storage hydro capacity for energy storage, load factors for existing renewable energy capacity could go up. During periods of excess renewable energy generation, the power is used to pump water into an upper reservoir. When demand is high this water is released to produce additional power. It’s not just Europe that is developing cross-border HVDC networks. For example, this August Siemens and Mortenson completed the converter stations for the Bipole III HVDC line in Canada. This 500-kV line will transmit 2000 MW of hydropower capacity from Manitoba Hydro’s northern generating stations near Hudson Bay almost 1,400 km across the challenging terrain and extreme conditions of the Province to near Winnipeg and the load centres in southern Manitoba and the United States. HVDC also eliminates any potential issues with asynchronous frequencies between different grid regions such as the Scandinavian, Baltic and Western Europe zones. These AC systems are not synchronised, even though they operate at the same 50 Hz frequency. Similarly, in the USA the PJM and ERCOT ISO regions operate asynchronously at 60 Hz. Such systems can only be connected via a DC link and converters. In using HVDC the phasing issue needed to match frequencies between asynchronous grids disappears and long distance efficient bulk power transport is possible, but HVDC PLUS has other beneficial capabilities too, for example in ancillary services. Precise control over the power that is flowing through a link means power generated far away can be delivered with a similar performance to a local power plant. Moderating the active and reactive power flows offers network voltage control independently of the active power that is transmitted, for instance. “An extended AC system is likely to result in power oscillations between the major load and generation centres in the event of a fault or a load rejection. Using HVDC PLUS as the transmission backbone can effectively damp such oscillations,” notes Dr Schettler. The damping functionality of HVDC systems is expected to become increasingly important in Germany, where more and more conventional generation in the South is going to be replaced by bulk power renewable generation on the North. In the event of an AC system split – a situation that can occur if a surplus of generation in one part of the AC system is so big that there is insufficient power transmission capacity to the load – an HVDC system can stay online and couple the separated asynchronous zones to help stabilise them. Thus, across Europe and elsewhere the overall resiliency of the network can improve with HVDC PLUS. Even in scenarios where some parts of the AC system blackout, HVDC PLUS can provide black start or system recovery ancillary services to re-establish AC power supply. Furthermore, where HVDC connects a large offshore wind farm to a number of jurisdictions the links may be used as an interconnector, increasing flexibility and utilisation of the transmission lines. Such plans are already under consideration. 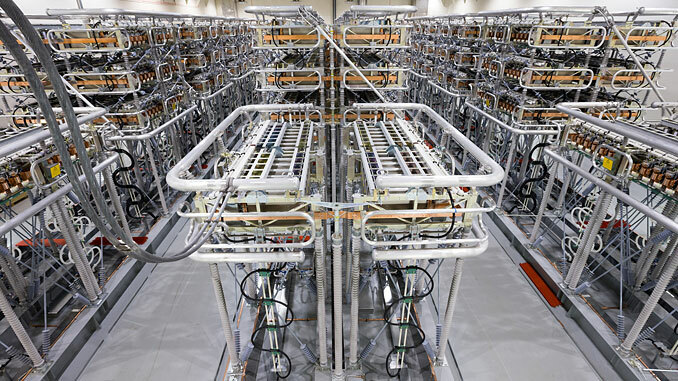 In the future even longer-distance interconnectors at higher voltages are anticipated – China is already developing an 1100 KV HVDC link with Siemens technology for example. “This opens the possibility of trading across time zones so that as demand falls in one region, renewable energy can be cost-effectively delivered to another region where power demand – and prices – are climbing,” concludes Dr Schettler. Overall, renewables accounted for an estimated 70% of net additions to global power capacity in 2017, according to REN21. With widespread expectation of more renewable penetration in the years to come, technologies like HVDC PLUS can support both growth in renewable capacity, network stability and a more efficient, cost-effective and cleaner global energy system. 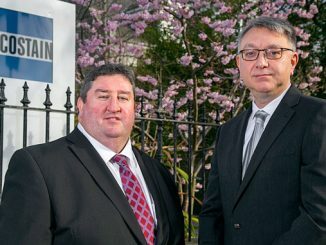 Stephen Ballard is Managing Director of BCM Public Relations Ltd.